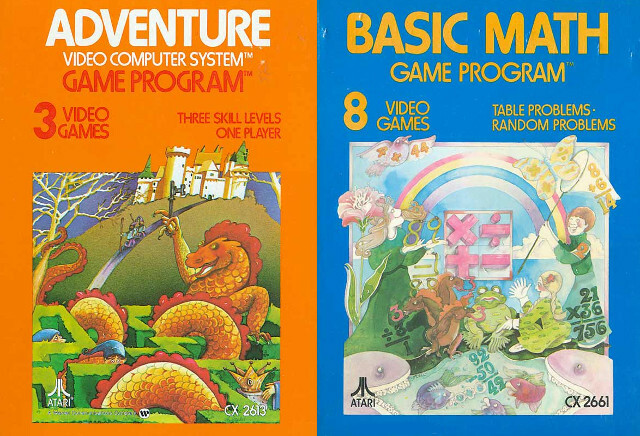 In the age of Atari, games couldn’t sell themselves on graphics alone. Games needed ways to spark players imaginations, to convince them that their villains and heroes were more than awkward clumps of pixels. And for that, they relied on box art. One of the first artists Atari partnered with was Cliff Spohn, a commercial artist with a distinct detailed style. 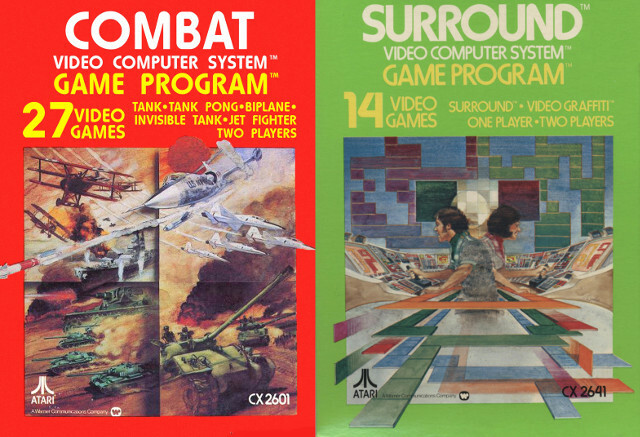 Spohn was hired to create a cover Combat and Surround, two of Atari’s launch titles. The work he did was striking, and it quickly defined the Atari aesthetic. 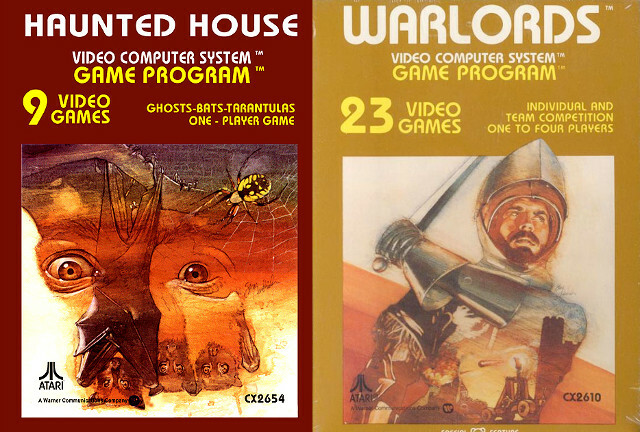 One of those “Cliff clones” was Steve Hendrickson, who created covers for games like Haunted House and Warlords. While you can see hints of Spohn’s detailed montage style in Hendrickson’s work, his covers placed more of a focus on human faces. In fact, Hendrickson claims to have used fellow Atari illustrator Jim Kelly as a model for several of his covers. “He was a great model and illustrator,” Hendrickson said. As Atari’s popularity, they began to seek out more prominent artists. Among them was Rick Guidice, who had worked with NASA in the 70s to create images of space colonies. 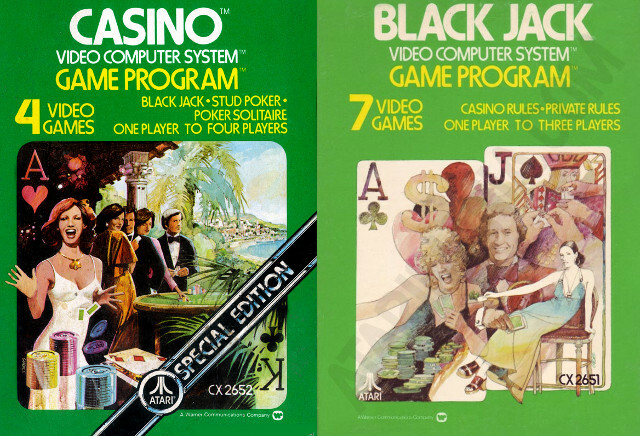 Although Guidice’s background made him the perfect fit for sci-fi games, he primarily created covers for gambling-themed games, including the infamously deceptive Casino. 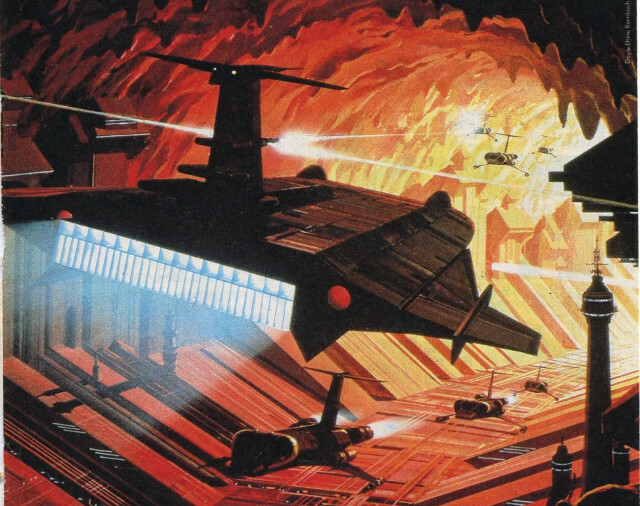 Atari even hired Star Wars concept artist Ralph McQuarrie to paint a single Atari cover. His painting, which appeared on the box art for Vanguard, was featured prominently in Atari advertisements. I’ve always thought that this era had the best box art, though I’ll admit I’m quite biased. I used to save my game boxes and store them in another box. I really enjoyed hearing the stories behind some of these boxes. I appeciate some true retro content.